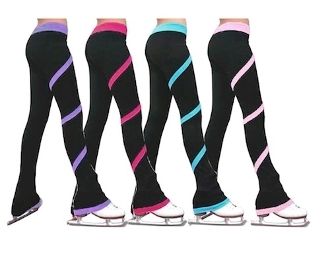 The ChloeNoel P636F Spiral Fleece Figure Skating Pants are made with light weight fleece. They will keep you warm during those cold days on the ice! Available in several colors from Child XXXSmall to Adult Large. Click on images to see color choices and sizing chart.